Nadia Herzog is a pen name of Nadja Bozovic, a freelance journalist whose interest goes from the questioning influence of different art movements, through the connection of arts and urban space, to the art activism for social change. She enjoys interviewing artists and reading all about art history, and she is truly passionate about visual arts, especially about photography, design, graphics, multimedia, and street art in all of its forms. DOLPH is a visual arts space where artists get to be their own curators. It is up to them how their exhibition will look like. They organize it under their conditions. In fact, they run the whole DOLPH project based in London’s Streatham Hill. DOLPH is there only to set a brief, and artists take it from there. 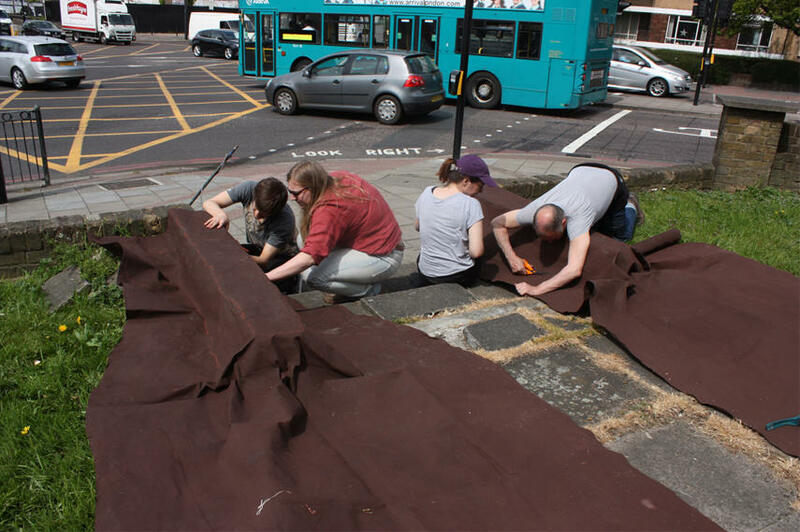 This May, the time has come for a renown, yet controversial artist Simon Callery to enter the DOLPH space and do his art. While he is there, he will paint some new paintings, and the audience will get the chance to peek inside and view artist in action, revealing the making of paintings. 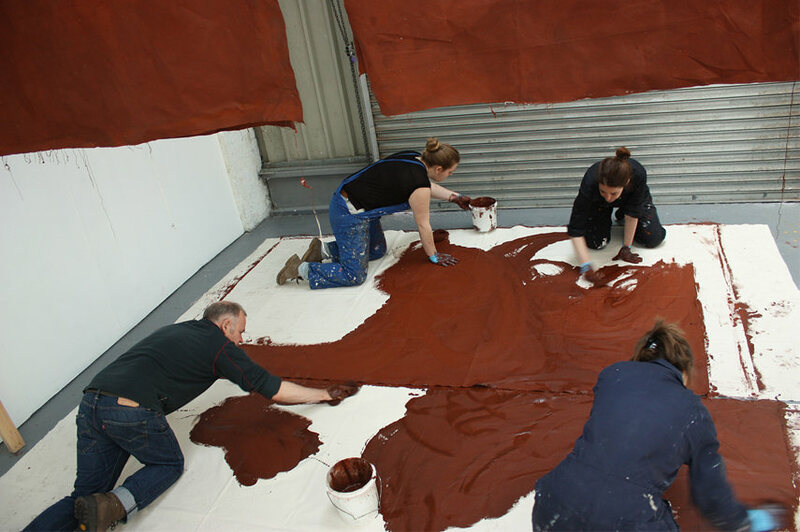 And when it comes to Simon Callery there has been a certain mysterious veil over his artistic practice, and the very process of creating his artworks. That is why his residency in DOLPH is going to be the perfect opportunity for all those doubting Thomases out there to experience the making of Callery’s paintings with their own pair of eyes. Hopefully, they will be convinced of the true value of his art. Callery is well-known for his unconventional British landscape paintings that are challenging the traditional way of thinking. His recent art series called Flat Painting, for instance, represented the archeological site in North Wales. This time around, Callery is set on a new project. He will be interrogating the urban environment of the Streatham area and its impact on the contemporary art. And how will he do that? He will walk the streets and he will carry the 50-meter roll of canvas to everywhere he goes. 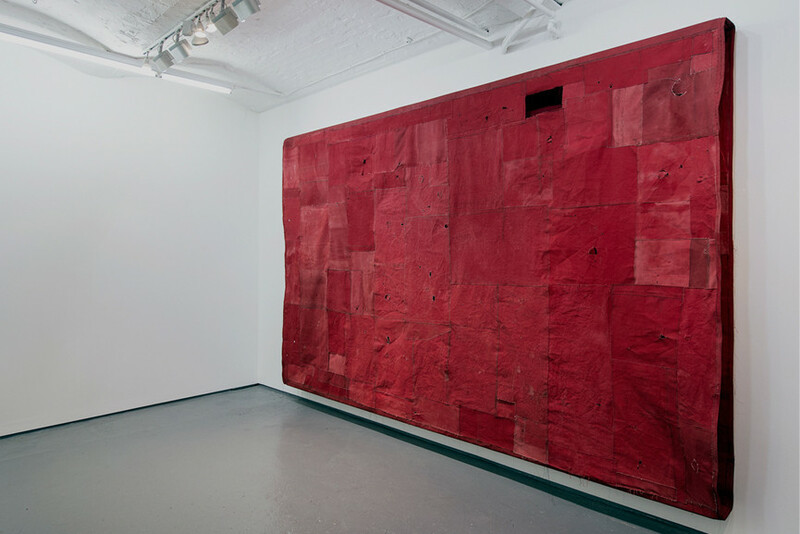 With an aim to explore the connection between urban space and art, Simon Callery’s idea is to mark and stain the canvas on the very site, wherever the road takes him, and then to add splashes of color and pigment later on in the studio. 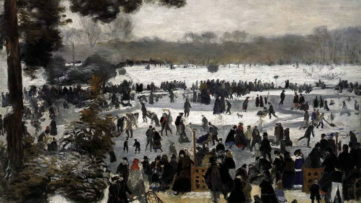 Throughout this process, there will be some cutting and sewing the canvas, or maybe some rubbing and washing, whatever the artist defines as necessary for the artwork to come to life. 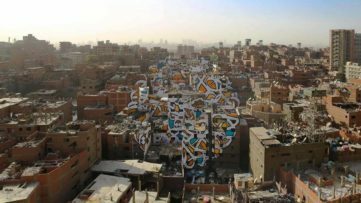 In the end, it will interact with the local environment and that be the final touch to the creation of the art. 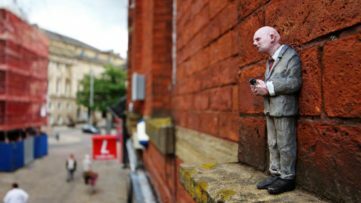 Along the way, Callery will include local community in this month-long project as he will collaborate with BA Painting students from UAL Wimbledon, and, of course, talking resident while wandering around the area. Throughout May, the DOLPH art space will be a studio and a gallery at the same time. The studio will be open to public view by the appointment from May 16 to May 24, 2016. 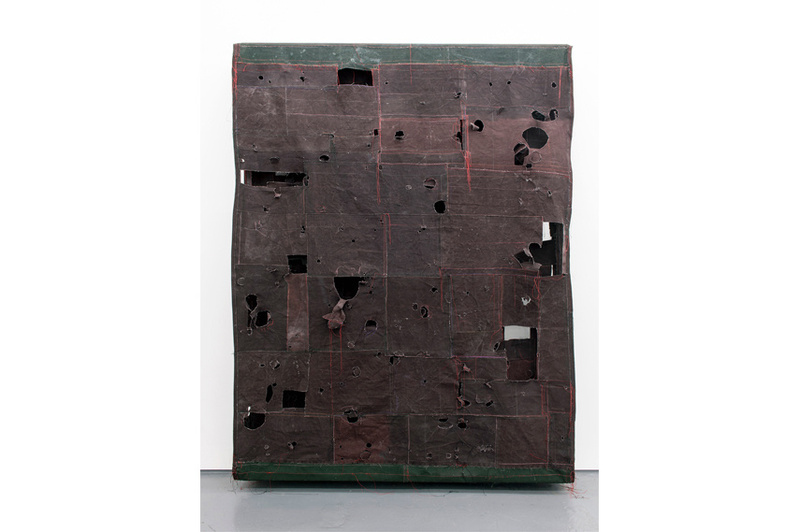 The Artist’s Talk is scheduled for May 25 at 5 pm, and the Private View of the Simon Callery’s exhibition is set for May 25 from 6 pm until 9 pm. There will be also the show runs from May 26h to May 29, from 11 am to 5 pm. Afterward, the finished Callery’s work will be exhibited at a local venue during the Streatham Festival in July 2016.